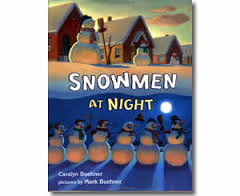 This week in my speech room, we worked with the book Snowmen at Night by Caralyn Buehner. I actually had the real, hardcover book for this one! This is a beautifully illustrated book, with a really cute story. 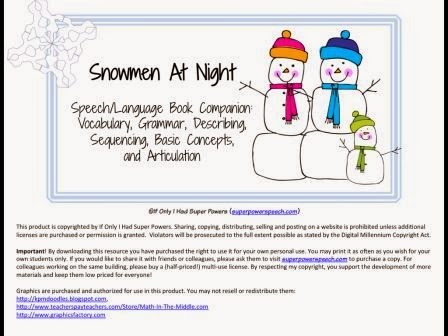 For speech and language activities, I used the Snowmen at Night Speech/Language Book Companion by CC at If Only I Had Super Powers. There are eight different activities included in this packet. Sorry, I don't have any real pictures this week! I took them with my work iPad and left it...at work! I forgot that I don't have the iCloud backup on that one to save space. What is great about this packet is that for every activity, CC clearly states the directions and gives game suggestions. This is really helpful! 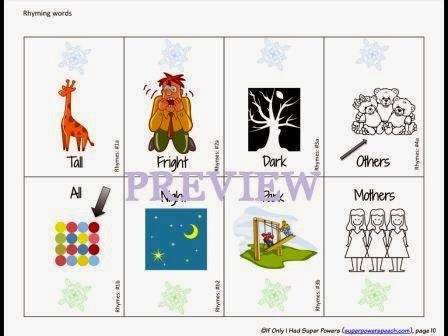 There are 14 pairs of vocabulary cards, 4 fun game cars, and a vocabulary grid. I used these cards by laying out the definition cards face up on the table, and having students place the vocabulary card on top of its match. 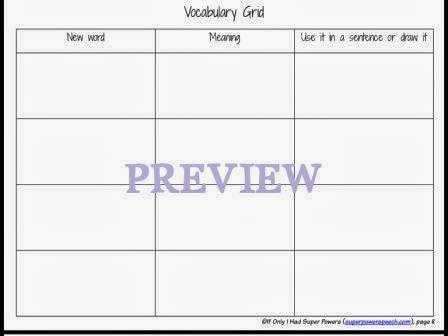 The vocabulary grid is great for students to write new words and show their meaning. There are 12 pairs of rhyming cards in this packet. The words are all words that were included in this story. These were good for my Kindergarten students this week. What is the Snowman Doing? This is a cute game board. 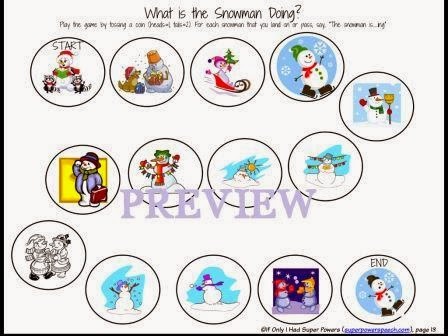 Each space has a picture of a snowman engaging in an activity. As they move around the board, students have to state what each snowman is doing. 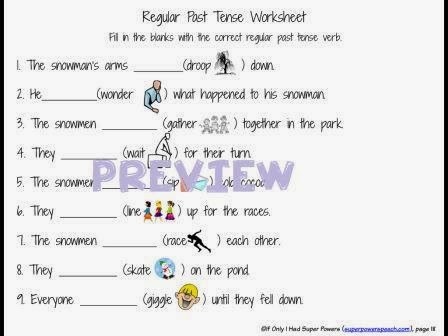 There are 12 pairs of present/regular past tense verb cards, a regular past tense verb worksheet, 10 pairs of present/irregular past tense verb cards, 4 game cards, and an irregular past tense verb worksheet included in this activity. My favorite part of this activity was the worksheets. I loved that CC included a picture in the sentence. These types of visual cues are great for my students. 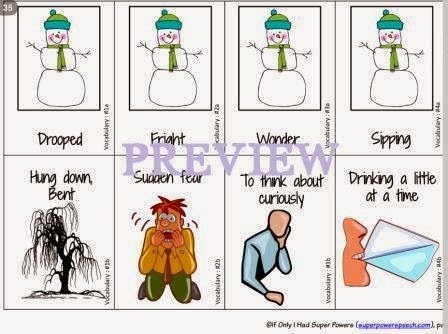 This is a cute worksheet that again uses some visual cues to help students. 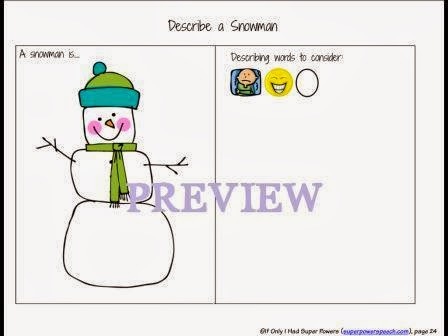 This is a simple worksheet that has students write the steps to make a snowman. 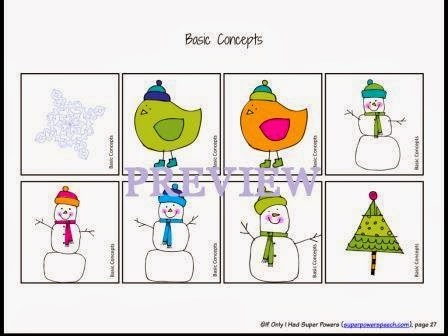 There are 8 pictures included to use with the basic concepts directions that are included. CC broke down the directions into five different categories: colors, numbers, above/below, right/left, and on top of/under. This activity focuses on articulation of the following sounds: /r/, /s/, and /z/. There are 48 cards in all. 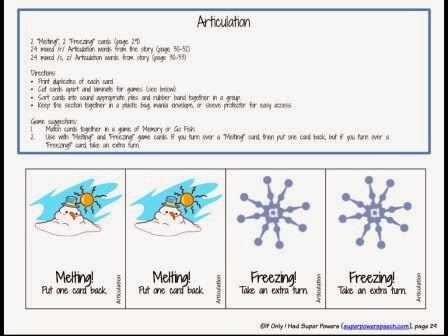 You can use these cards for memory, with any game board, or with the "melting" and "freezing" cards that are included. 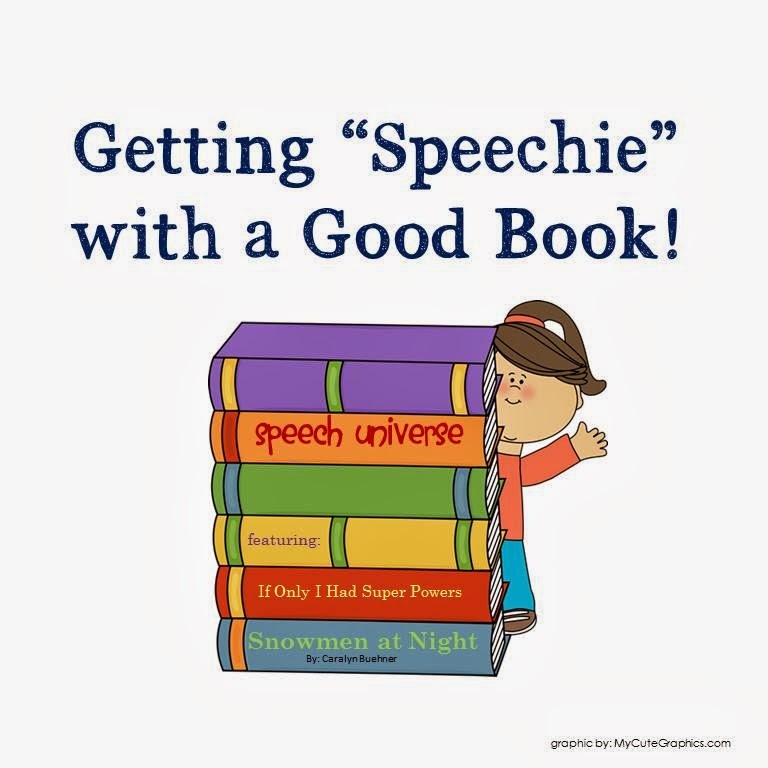 This was a great packet that works on an adorable book. You can get this packet HERE! If you like this book companion, please go over and tell CC at: If Only I Had Super Powers. She is also on Facebook: If Only I Had Super Powers.